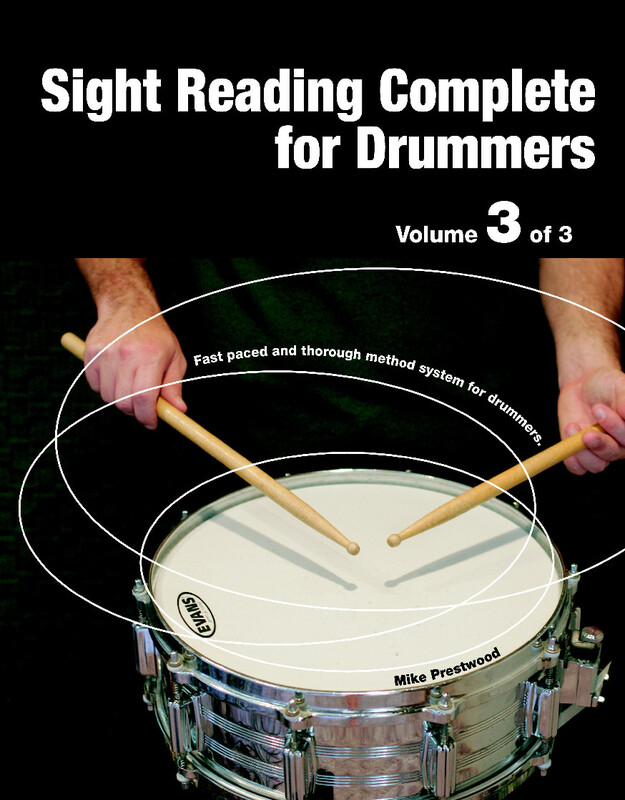 Volume Three of Sight Reading Complete for Drummers by Mike Prestwood. Volume 3 explores advanced rhythms and concepts that most drummers never explore. The snare solo titled, “Kitchen Sink” at the end of this book reviews nearly all the material from all three books of this series. It groups elements into sections. Kitchen Sink is an excellent review piece and, for teachers, it is an excellent placement test. 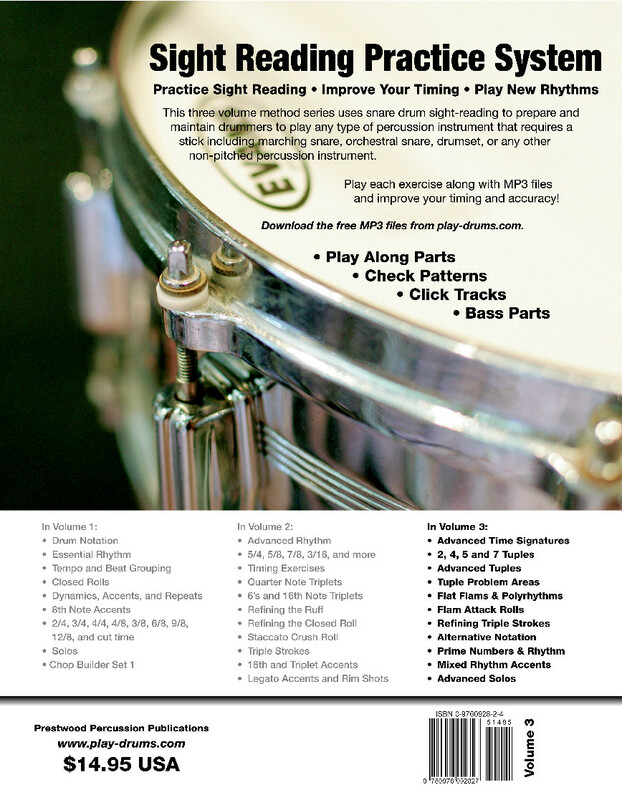 416 downloadable MP3 files to play along with - Awesome system, master complex rhythms! The first 14 pages of the book Sight Reading Complete for Drummers, Volume 3.